As clean, nontoxic beauty continues to break into the mainstream, it was only a matter of time before I started fearing my antiperspirant. For years, rumors circulating the internet have claimed that active ingredients in your usual drugstore deodorant can lead to breast cancer. Which, naturally, is terrifying when you’ve been swiping the stuff under your arms since puberty. Though, the research behind this theory has mostly come up inconclusive. "There are no strong epidemiologic studies in the medical literature that link breast cancer risk and antiperspirant use, and very little scientific evidence to support this claim. In fact, a carefully designed epidemiologic study of this issue published in 2002 compared 813 women with breast cancer and 793 women without the disease. The researchers found no link between breast cancer risk and antiperspirant use, deodorant use, or underarm shaving," reports The American Cancer Society. That being said, I’m not against limiting the number of chemicals I put in and on my body. 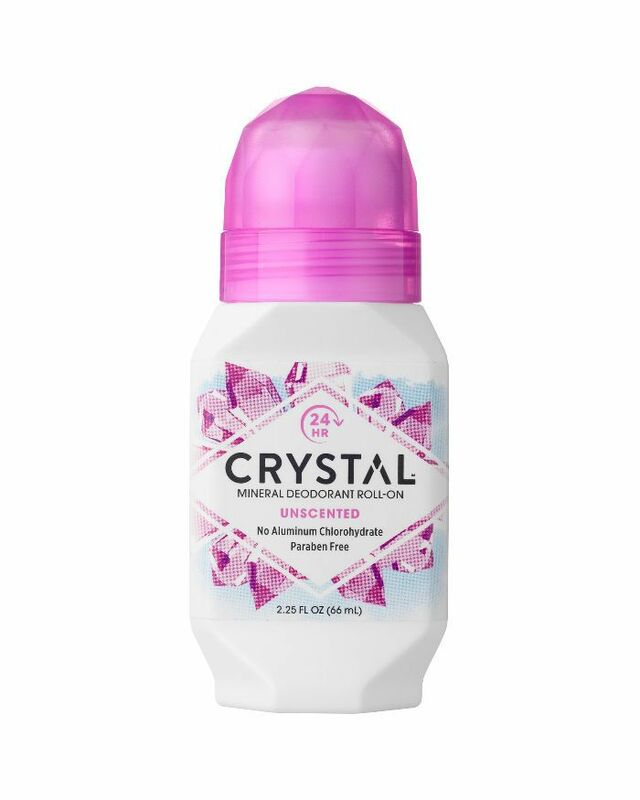 So when I read about Crystal’s Body Deodorant Stone ($7), I was game to give it a try. That, and Ashley Graham says the spray version is her favorite. In 1984, the company’s founder traveled to France and learned of a mineral salt product used to purify water—which, he discovered, forms a protective barrier on the skin against odor-causing bacteria. 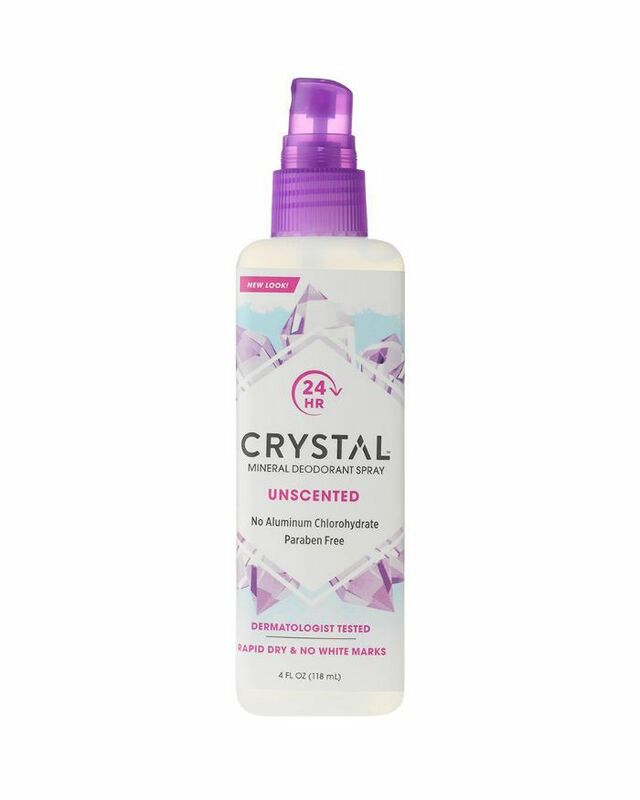 Thus, the idea for the first-ever crystal deodorant was born. 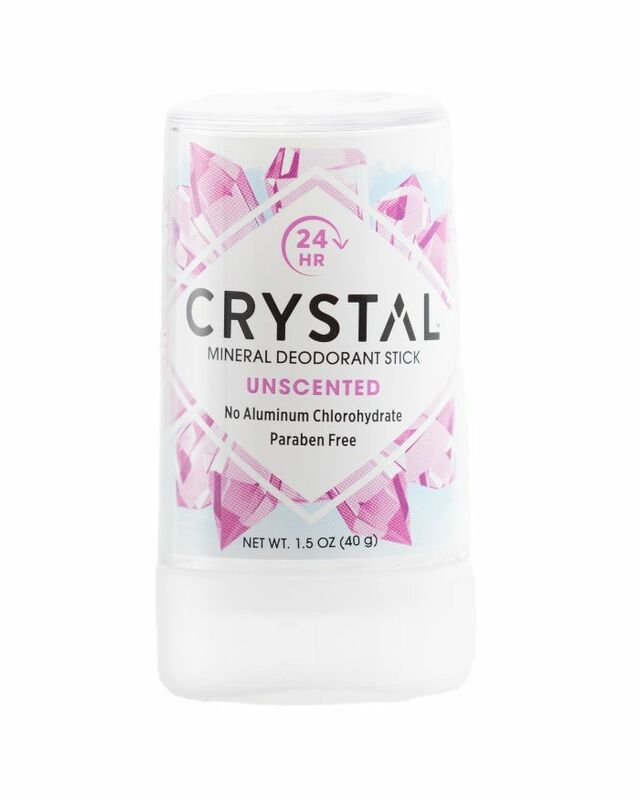 So here are the facts: The deodorant stone offers safe, natural odor protection using only mineral salts and can be used as a gentle alternative to products with aluminum chlorohydrate, aluminum zirconium, phthalates, and parabens. The first thing I realized after opening the package? It’s not actually a crystal deodorant but rather a large hunk of mineral salt shaped into a gem-like stone. Still chic though. 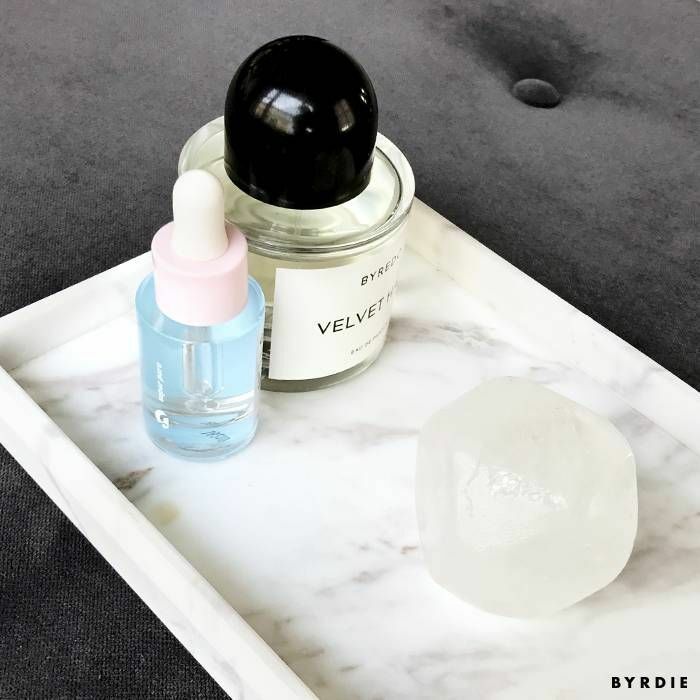 I moistened the top of the rock and applied it to clean skin after my morning shower each day. The texture was super silky and soft—not at all rough or abrasive like I thought it might be. It didn’t leave my underarms sticky or with chalky, white residue either. I went on with my days like any other, sweating through my morning commute and freezing in the office. The first day wasn’t great. I noticed sweat and smells early on in the day which, naturally, was concerning to me while I stood close to co-workers in meetings and on my way to lunch. 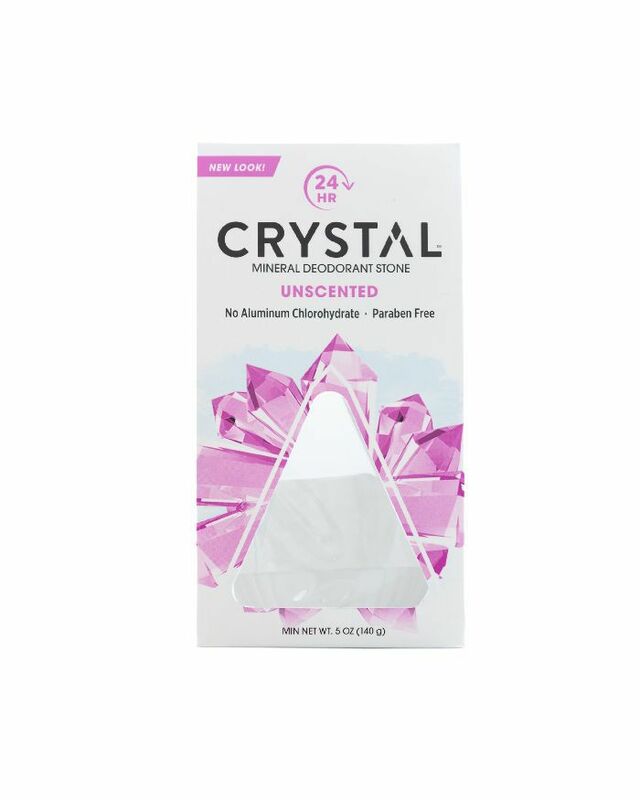 But our features editor, Amanda, reassured me: “In order to successfully become a natural deodorant user, you have to go through a ‘mainstream deodorant detox,’” she wrote in a piece about just that. “When people have been using mainstream deodorants and antiperspirants, their bodies are prevented from sweating—ingredients like propylene glycol and aluminum salts stop the natural process of sweat,” explains organic skincare guru Susan Griffin-Black, co-founder of EO Products. “The first few weeks of using a deodorant without these ingredients [aluminum and preservatives] is often the smelliest time of a person’s life!” says Black. At least I’m not the only one, I thought as I used a makeup wipe under my arms in the office bathroom. For the same formulation in an easy-to-use, twist-up stick, this packaging may make for an easier transition from mainstream deodorant. Another practical rendition is the brand’s roll-on version that provides the same light coverage. For those who prefer a spray (like Ashley Graham), this brand uses a similar formulation in a deodorizing mist. FYI, here are seven organic deodorants that actually work.